Why are Linguists Interested in Color? If you speak Greek, Japanese or Russian, the English language must seem rather poor when it comes to describing shades of blue. All of these languages have two words for blue, where English only has blue. But there are also languages with far fewer color terms than English. The Dani language, spoken in Papua New Guinea, have only two color words, one used for all darker, cooler colors, one for all the lighter, warmer colors (Rosch 1972). This is fascinating – all humans see color the same way, so why do we not all divide up the color spectrum in the same way in our languages? For the last 150 years, linguists and anthropologists have been fascinated with the differences and similarities in how languages divide up and name the parts of the rainbow. The field really took off in the middle of the 20th century, when researchers started using the Munsell Book of Color to standardize testing protocols. This blog post will chart the quest for universal rules of color naming, from its philological beginning in the writings of a British prime minister, through train crashes, a search for better beer, early anthropological expeditions among the tropic islands of Austronesia, the discovery of the Munsell Book of Color as a linguistic experiment tool, the foundations of a bitter academic war between universalists and relativists, to the modern day uses (and abuses) of the Munsell charts in high profile linguistic research projects. There were very few color descriptions in the Iliad. This was startling, because the Iliad and Odyssey are full of descriptions. How could this strange use of color in the Iliad and the Odyssey be explained? Gladstone did not agree with those who said that Homer himself had been blind and ascribed his weird color usage to this. Instead, he said “We must then seek for the basis of Homer’s system with respect to colour in something outside our own [system]” (p.487). And: “As a general proposition, then, I should say that the Homeric colours are really the modes and form of light, and of its opposite or rather negative, darkness: partially affected perhaps by ideas drawn from the metals, like the ruddiness of copper[…]” (p.489). 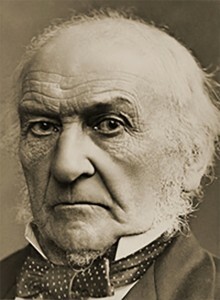 He also said that “I conclude, then, that the organ of colour and its impressions were but partially developed among the Greeks of the heroic age.” (p.488) This last statement seems to indicate that Gladstone believed that there was a physiological difference between the ancient Greeks and the Europeans of Gladstone’s day. Gladstone suggests that the reason for the underdeveloped “organ of colour” was that there simply was less color around the Greeks: “The olive hue of the skin kept down the play of white and red. The hair tended much more uniformly, than with us, to darkness. The sense of colour was less exercised by the culture of flowers. The sun sooner changed the spring-greens of the earth into brown. Glass, one of our instruments of instruction, did not exist. The rainbow would much more rarely meet the view. The art of painting was wholly, and that of dyeing was almost, unknown and we may estimate the importance of this element of the case by recollecting how much, with the advance of chemistry, the taste of this country in colour has improved within the last twenty years. The artificial colours, with which the human eye was conversant, were chiefly the ill-defined, and anything but full-bodied, tints of metals. The materials, therefore, for a system of colour did not offer themselves to Homer’s vision as they do to ours.” (p.487-488) Were the ancient Greeks color-blind? Or was color simply not important in their lives? Or, at the very least, was brightness, darkness and shine more important than hue? Other writers engaged with the question and the discussion continued. Geiger (1868) wrote that he had found evidence of great imperfection in the ancient people’s understanding and labeling of colors, especially in the names for green and blue. Geiger looked at other Greek texts and also in the Vedic hymns of India, in the Avesta, in the Norse Edda, and in ancient Chinese and Semitic writings. W.H.R. Rivers (1901, page 45), whom we will return to shortly, has this to say about the discussion: “Geiger advanced the view that there had been an evolution of the color sense in historical times; and he supposed that this evolution had been of such a kind that red had been distinguished first, followed by yellow and green, and that the sense for blue had developed much later than that for the other colors. Magnus (1880) came to the same conclusions on the basis of a still more extended examination of ancient writings.” But there were also voices of protest. Allen (1879) and others noted the many colorful decorations of the Egyptians, and the use of many colors even in Greek art. Surely there had been lots of color around Homer? 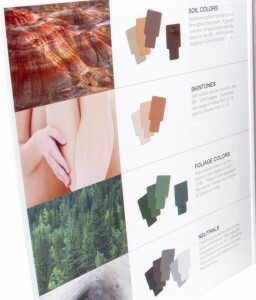 Part 2 of the series examines tribal studies, train crashes and beer, continuing to explore the quest for universal color naming rules.